Ask yourself when the last time was you picked up the Yellow Pages and you may find the answer surprising. The truth is most of us can’t remember the last time and when we did they were most likely used as a booster seat for a five year old. In the age of the Internet and smart phones, when we need a product, service or a location we access the Internet. And this is where local area business owners are sadly lacking in consumer exposure. However, there are business owners here in Memphis and the surrounding area that have forsaken the Yellow Pages and embraced the power of the Internet through local search. Guess what? Their sales have no doubt increased. Although it’s not enough just to have a website, it must rank well in local search for whatever industry or business you are in. More on this later. People naturally take the path of least resistance. Technology has provided a wealth of information right at our fingertips through our computers and the many hand held devices we own. People do what is easy and the Yellow Pages aren’t easy, computers and smart phones are. Almost everyone on the planet is aware of Google and how it works. Google is the number one search engine in the world, outranking Yahoo, Bing and all other search engines combined. Search technology and it's algorithms have become so sophisticated they know in what location someone is placing a search query and will provide them with the most up to date and relevant results requested, right at their fingertips. Is your website there for them to learn more about your business and what you offer to satisfy their need? 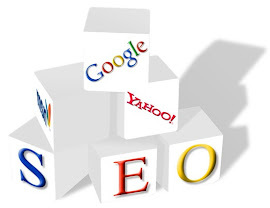 This website is ranked number one for search engine optimization Memphis for this very reason. We want everyone in this area to know we can help them rank their website in the top slots on Google by virtue of the fact we are ranked higher than other SEO firms in Memphis. Many Memphis business owners are listed in the Yellow Pages and are paying hefty fees to the tune of one-thousand dollars a month if not more for very little return. Not only are these fees excessive, you are committed to the same ad for one whole year without the ability to change the ad in anyway. The flexibility of your marketing in local search however, is instantaneous. Offering a special time sensitive deal, upload the sales copy to your website and it is live and in front of your visitors/customers. Have a new banner to test conversion rates, build and upload it and your test is live. Your website provides you with a a captive audience and the opportunity to stand out and sell them on your business without the "noise" found in the Yellow Pages. Ads placed in the Yellow Pages are right next to your competitor and or competitors, creating "noise" that can distract potential customers, reducing the chances of them ever becoming one of your customers. With a website ranked highly in local search, both in organic listings and Google Places, you stand out above the crowd and will receive far more clicks/visitors than your competition ranked below you. With the Yellow Pages, your competition has the same chance as you of getting the customer. Your website combined with high local search rankings can eliminate the competition and get you the customer. If you are a local business owner with an ad placed in the Yellow Pages it is time to evaluate the investment and determine if it is in fact an investment with an acceptable ROI or a money pit. Can you really gauge the results over the past year of your Yellow Pages campaign? How many new customers did you actually receive from the Yellow Pages ad? If you don’t know then allow us to make a suggestion. On your ad renewal date, cut the Yellow Page ad budget in half, reduce the size of your ad and take the remaining budgeted amount and use it to drive traffic to your website through local search. The results will amaze you. Another added bonus of having a website and utilizing the power of Local Internet search is your traffic can be monitored and analyzed unlike the Yellow Pages. Search Engine Optimization Memphis has the technical skill to get you noticed on the Internet and more importantly, we can do it locally where your customer base lives and works. If you already have a website but are not ranking well we can help boost your rankings and increase your traffic. If you need a website, we can build your business a website and also get it ranking for the search keywords within your industry. Remember, in the Yellow Pages you are just another ad among many. With your own website ranking in the top slots of the search engines, you will not only stand out above your competitors but will also dominate the local search traffic within your industry.